Relics of war pop up in some unexpected places, carried from one end of the world to the other, sometimes by ocean currents or other forces of nature, and sometimes by a relative of a soldier. Pearl Harbor artifacts continue to be found, such as the recent discovery of what one man believed to be Isoroku Yamamoto’s dagger, a memento of the man who orchestrated the attack on Pearl Harbor. 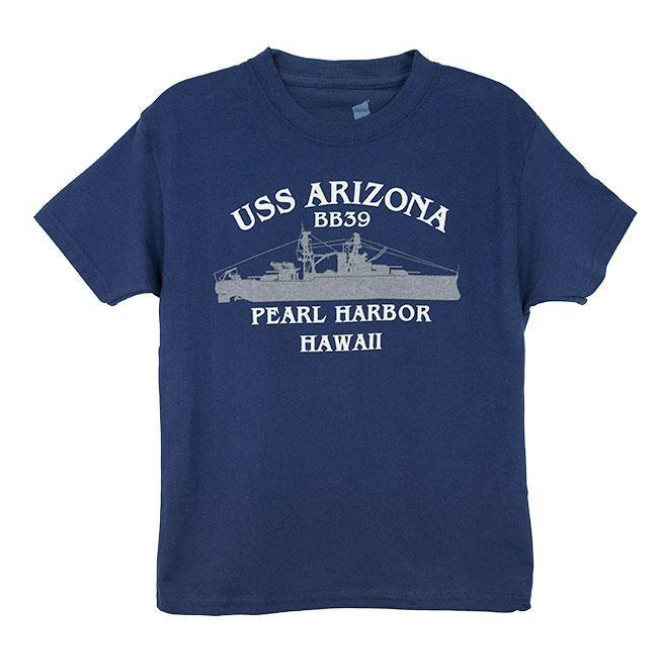 In 2016, another Pearl Harbor relic surfaced, this one less controversial. After vanishing for decades, it showed up on the East Coast—all the way on the other side of the United States—in a church parsonage near Baltimore, MD. How the tarnished artifact wound up in Maryland was a mystery even to the people who discovered it. It was the bell of USS Vestal (AR-4). You likely won’t find much reference to USS Vestal when learning about the events of Pearl Harbor and the eight major targets moored at Battleship Row. That’s because she wasn’t one of the battleships that Japan sought to sink. Rather, the Vestal was a repair ship anchored next to USS Arizona (BB-39), the attack’s largest casualty. Vestal was instrumental in the rescue of several Arizona crewmen, despite an order to sever the connection to the sinking vessel. Arizona took heavy hits from Japanese fighters and bombers, causing her to crack at the hull and take on water. As fires raged and bombs struck, causing damage to the smaller repair ship and endangering the life of her crew, Cassin Young, Vestal’s captain, was forced to order his ship to be abandoned. Had a sailor by the name of Joe George obeyed the orders he was given to cut the lines to the Arizona, Donald Stratton, Lauren Bruner, and four other men aboard the doomed Arizona would not have survived that day. Seeing the battleship’s crew struggling to evacuate their sinking ship, George kept one of the lines intact so the men of Arizona to pull themselves across. After his death many years later, George finally received recognition for his heroics and after the attack on Pearl Harbor, USS Vestal continued serving throughout the war. After she was decommissioned in 1946, the repair ship was finally sold to the Baltimore Shipyard for salvage 1950, although at least one thing was saved from being scrapped. After its discovery, Vestal’s bell was donated to the Naval History and Heritage Command and restored to its original condition. At over 400 lbs, moving the bell was no easy feat, but that didn’t prevent the NHHC from allowing it to be used at the Pentagon’s 75th anniversary commemoration ceremony on December 7th, 2016.